Comics, and how they Kick Started a Writers Imagination! | Letters from an unknown author! Comics, and how they Kick Started a Writers Imagination! When I was a school kid one of my passions was comics. And I mean comics of all shapes and sizes. The crazy thing is that now, whenever I look round a newsagent’s or supermarket, one thing you just don’t see are comics. Maybe the younger generation are too ‘adult’ these days for comics, or maybe they just appealed to my generation. Perhaps comics are just a casualty of the electronic internet age. Who knows? 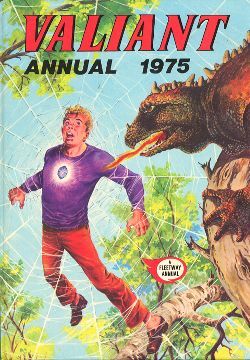 One of the earliest comics I remember reading is one I used to prise off my Dad despite his protests that he wasn’t interested in comics. The Hotspur. It was a great comic, although a little old-fashioned even then. Another similar comic was the Valiant. Now the Valiant had some great stories. Captain Hurricane, who was usually the front page feature: A World War II Royal marine who had a habit of flying into what might be termed today a ‘wobbler’ but in the comic they called a ‘ragin’ fury’. Kelly’s Eye was another favourite, about a man who had an ancient charm he wore around his neck called the ‘Eye of Zoltec’ that protected him from harm. Then there was ‘The Steel Claw’ about a scientist who had a false hand which when connected to an electric current rendered him invisible. Remember the Tiger? I used to buy that for a strip called ‘Skid Solo’ about a formula one racing driver and his team. 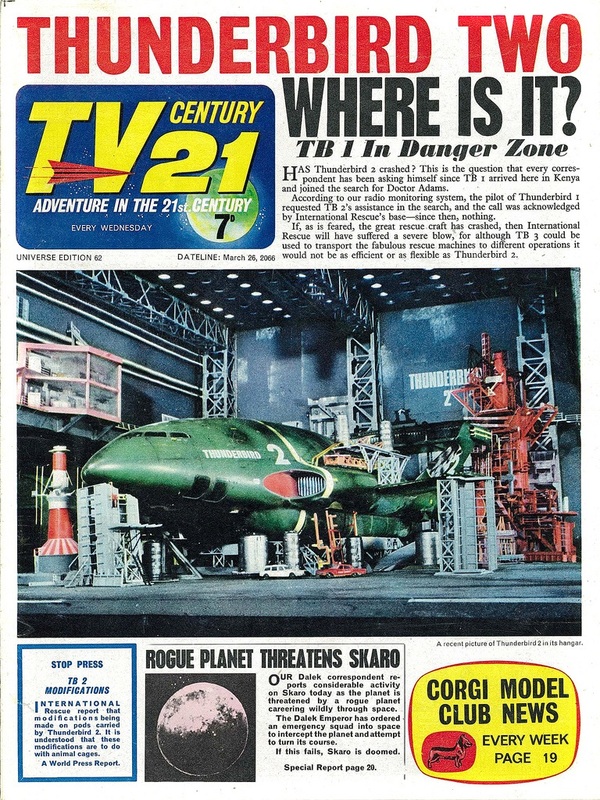 In the late sixties and early seventies I was fascinated by Gerry Anderson’s sci fi children’s series and a comic soon appeared called TV21 which featured Anderson’s series in comic form. What I loved about TV21 was that the front page was in a kind of newspaper format with a headline and associated stories, even sometimes with a stop press that all related to comic strips within the comic. For instance: Stop press. WASP submarine Stingray reported missing in the Atlantic. When you turned to the Stingray page, there was the full story. I used to buy American comics too. DC comics like Superman and Batman and the Marvel comics featuring Spiderman and The Fantastic Four. My favourites were the older DC comics and you used to be able to get an 80 page ‘Giant’ featuring something like the origin of Batman. (All super heroes had their ‘origin’ edition.) In the case of Batman I loved the older 1940’s gothic versions of Batman with his 1940’s style Batmobile. It’s great to see the latest movie versions of these fantasy comic strips but they don’t always live up to their comic predecessors. Comics instilled in me a love of stories and lit the fuse that burned inside me and made me want to be a writer. Just to finish this blog here’s one final comic confession: Many years ago my Mum had a part time job as a cleaning lady at a big posh house in Gatley. The family which lived there included two young girls who read a girl’s comic called Bunty. I hate to admit it but my Mum used to bring home a pile of old Buntys every month or so and I used to put them in chronological order and sit down and read them! I really did love my comics! This entry was posted in author and tagged anecdote, author, books, comic, comic strips, comics, DC comics, essay, humour, manchester, nostalgia, observation. Bookmark the permalink.